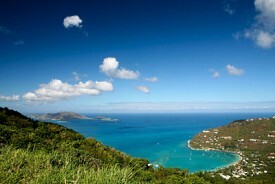 Tortola is small in size, but huge in natural beauty. The island is capped with bold mountains and fringed with breathtaking beaches. The prime sites here are Cane Garden Bay and Sage Mountain National Park. Other options include snorkeling, diving and glass-bottom boat rides.